Beatles bootleg site: "it's psycho-acoustic simulation, m'lud"
A website offering unauthorised downloads of The Beatles music has been handed a lawsuit by EMI but it is bizarrely claiming it has rights to the music it is offering. Bluebeat, which offers an alternative to digital radio, had been pretty much under everyone's musical radar until earlier this week when it was found that the entire archive of The Beatles were available to download on the site. Although there are some reports that this archive has now gone, TechRadar has found that three of The Beatles records are still available: Love, Let It Be…Naked and the band's greatest hits offering 1. A lawsuit has been issued by EMI, but the owners of Bluebeat, according to Wired, are claiming that the records have been re-recorded using 'psycho-acoustic simulation'. The site itself does admit that it "transmits simulated live musical performances for free at 160 and 320 Kbps." Whatever that means. 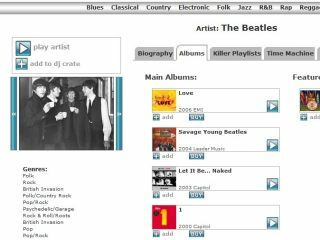 With the majority of The Beatles albums now taken off of the site it does seems that EMI has pretty much got its way. So we may still be unable to get official downloads of The Beatles but it's not all bad – at least the English speaking world now has the brilliant phrase 'psycho-acoustic simulation' to add to its lexicon. You can check Bluebeat for yourself by clicking here.